These are the first lines spoken in the intro for Samurai Jack and they come from the warrior himself in this new season. This marks a notable change given how the lines in the intro for the first four seasons of the show were spoken by Jack’s arch nemesis, Aku. Fifty years have passed for Jack while 13 years have passed since viewers last saw the samurai onscreen before the show abruptly ended without a proper ending. Thankfully, the show was revived and given a limited series order on Adult Swim to conclude Jack’s story. Before the revival, Samurai Jack already was considered a masterpiece of the animated genre. But after watching Jack’s journey finally come to a close on Saturday, this animated masterpiece should now be in the discussion for best animated show of all-time. From the season premiere back in March to finale on Saturday, Jack’s farewell journey, told over the final 10 episodes, was nothing short of phenomenal. The biggest new element in the revival of Samurai Jack is its dark tone. Shifting from Cartoon Network to Adult Swim allowed series creator Genndy Tartakovsky free reign to show dark, mature imagery (and occasional blood), which allowed further character development for Jack. At the beginning of the revival, we find Jack having lost hope and driven into madness, haunted by his failure to vanquish Aku, who has bent the world to his liking. Instead of reviving the show and giving Jack a clear-minded path to finishing Aku, Tartakovsky spends a lot of time focusing on the toll struggling to defeat Aku has taken on Jack. 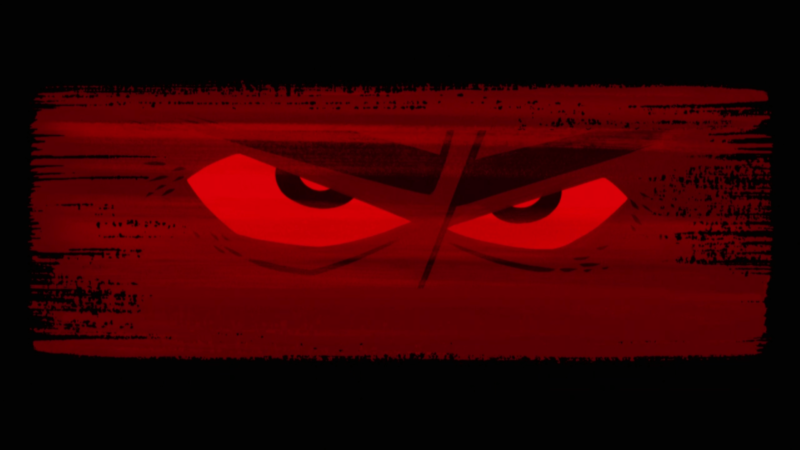 For a story trying to reach the finish line, watching Jack struggle is quintessential in the overall story of season five, which touches on a few key issues the samurai must overcome in order to, “get back to the past.” And unlike previous seasons of Samurai Jack, where each episode was its own thing, the fifth and final season consisting of 10 episodes is told as one cohesive story. The first few episodes of the revival are action-packed and feature a number of fist-pumping moments, as we watch Jack fight off robots and humans alike. When Jack faces off against the daughters of Aku, the series’ action is taken to another level – where the fights are swift, intense, exciting, and nothing like we’ve seen before; without a doubt, they are among the best action sequences the show has ever seen. With all of the conflicts Jack encounters early on, Tartakovsky keeps plot points close to the chest, only dropping subtle hints at what has happened in the world in which we now find Jack living in (along with keeping Aku mostly out of the picture). But once a new character, Ashi, enters the fold midway through the season, the show shifts gears and we’re given a clearer understanding of the path Jack must take in order to complete his journey. The latter episodes of the new season are where fans of the series will find themselves in familiar territory, as Aku has more of a presence and the show balances it’s new, dark elements with more humor (especially from standout new character, Scaramouche, a singing robot assassin) the series is known for. Along with that, Tartakovsky hearkens back to classic episodes by reintroducing some memorable characters (the Scotsman, in particular, delivers the season’s most memorable piece of dialogue), who reminisce about their encounters with Jack. Watching the revival revisit these characters and areas of the world Jack has journeyed through make for a great reminder of the journey Jack has taken up to this point. Despite having not yet defeated Aku, Jack has been able to save many lives over the course of his journey, which plays a role in opening the eyes of Ashi, someone who at first thought that Aku was the rightful leader of the world. If there is one negative people might draw from the final season, it is a subplot involving Samurai Jack and Ashi. Given the circumstances Jack is in, however, I found it to be completely plausible from a narrative perspective. The latter episodes also help create huge momentum heading into the final episode, which has a few surprises that make for such a satisfying ending. While the ending might feel bittersweet for some (like it does for creator Tartakovsky), it is the right way to end this story given how everything previously seen this season comes together in the near-perfect finale. The finale wraps up everything nicely and certainly will draw plenty smiles from fans of the show. What stood out about Samurai Jack when it originally aired was its animation. The series ended back in 2004, before high definition took off and, even then, it was regarded as one of the best-looking animated shows up until that time. But now, returning to television in an age where everything is in high definition, no other current animated show can match the animation in Samurai Jack, which is staggeringly beautiful. With every new scene in each episode, the colors and use of aspect ratios never cease to astonish the viewer’s eye. Along with the animation, the music and sound are heightened like never before, giving the show a movie-like presentation throughout its 10-episode course. As far as voice acting goes, Phil LaMarr is back voicing Samurai Jack and is as good as ever while Greg Baldwin is a fine replacement, voicing Aku since the original voice, Mako Iwamatsu, passed away two years after the show first ended. Along with LaMarr and Baldwin, legendary voice actress Tara Strong is a nice addition to the voice cast as Ashi. The fifth and final season of Samurai Jack is a perfect send-off for the samurai. The action is fist-pump exciting, the shift in tone is well-executed, the animation is stunning, and the cohesive story builds towards a satisfying ending that’s capped off with a near-perfect finale. Tartakovsky blends all of these elements together to make Samurai Jack a masterpiece of animation from which other studios could learn a great deal. With Jack’s story coming to a close, Samurai Jack just might be the best animated series of all-time, and that’s saying a whole lot. There’s nothing quite like it now, nor will there ever be anything like it in the future.